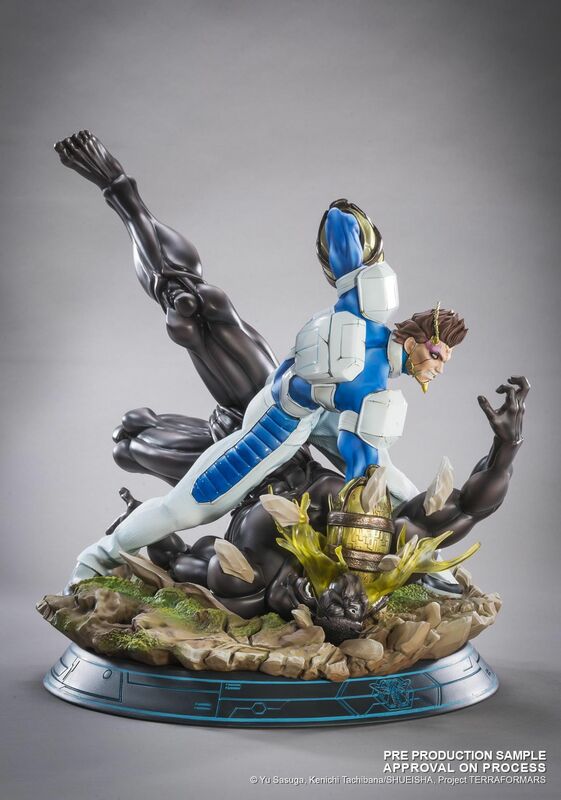 Shokichi Komachi HQS By Tsume, from Terra Formars. 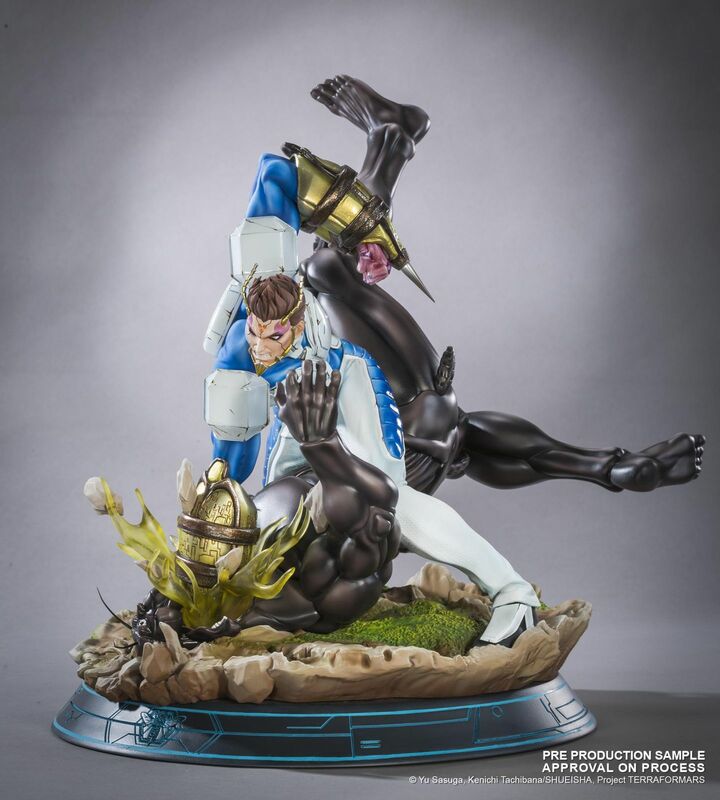 Included one Shokichi Komachi statue, one cockroach statue, the base with Mars ground, its metal plate and an authenticity certificate. Tsume is proud to introduce its first creation born from the amazing world of Terra Formars by Yu Sasuga & Ken-Ichi Tachibana. 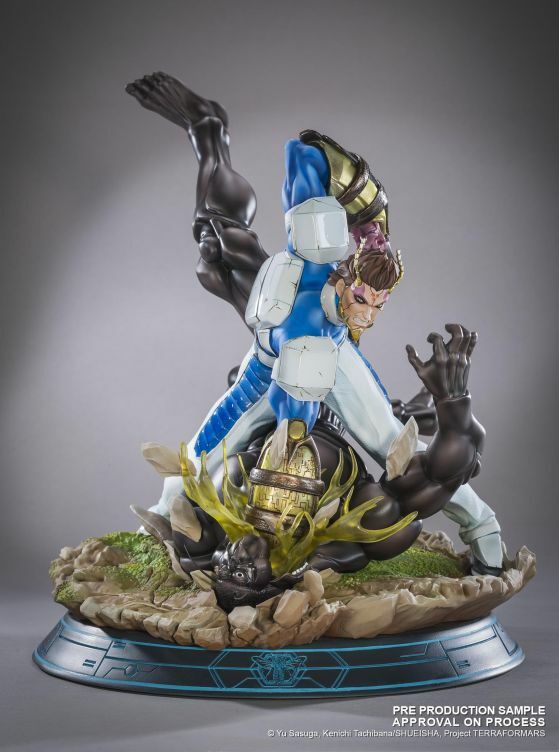 Through this unique collection of 1/6th collectible resin statues, get all the intensity of the war mankind is fighting on the former red planet for its very survival! Shokichi Komachi leads the squad #1 and he also is one of the few survivors of the B.U.G.S. 2 mission. He has a strong experience of fighting Terra Formars. 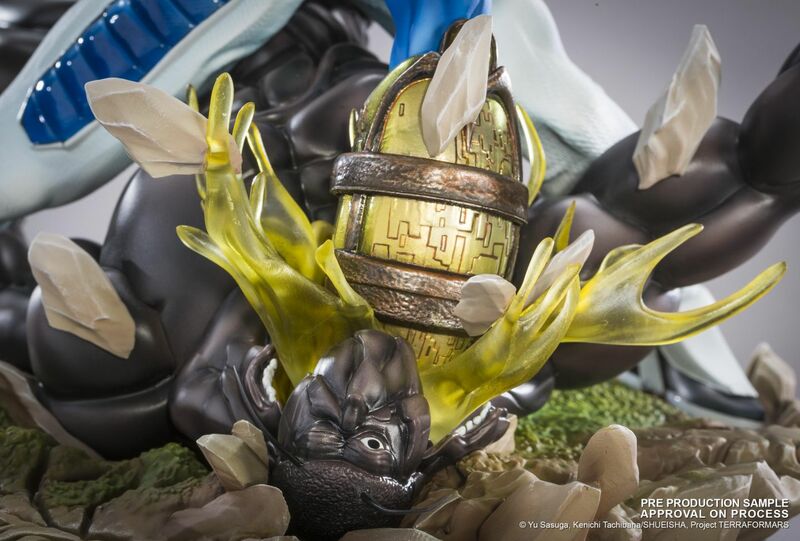 That is therefore how we decided to sculpt him, smashing one foe using the power of his Mosaic Organ and his new gifts, those of the Japanese giant hornet! 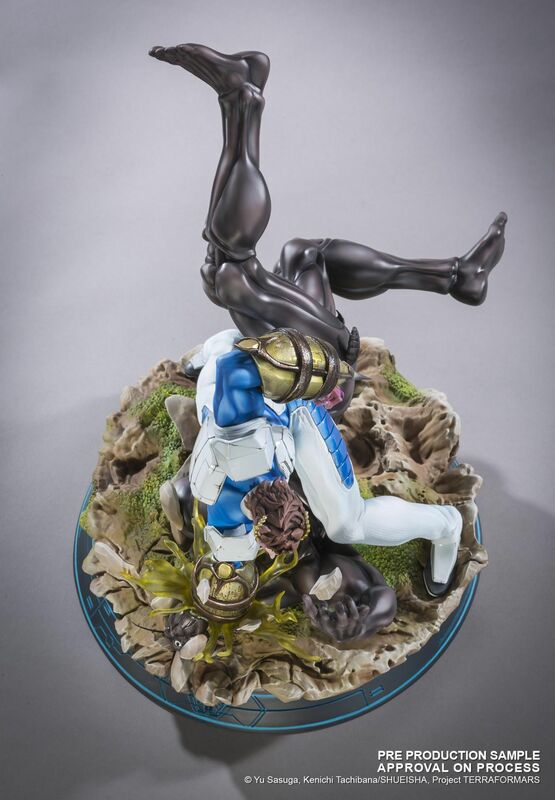 The overall setup of the statue allows one to watch it from any angles: Komachi and the cockroach's lines of strength cross and strengthen each other, offering an outstanding visual result. 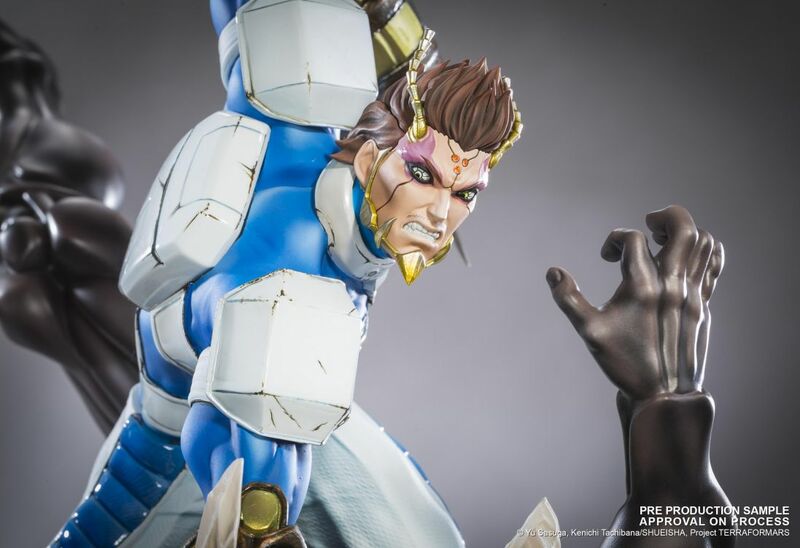 The sculpture is very detailed, from Komachi's outfit to its hornet parts and the paint job delivers a vivid contrast that drives the eye to the center of the statue. 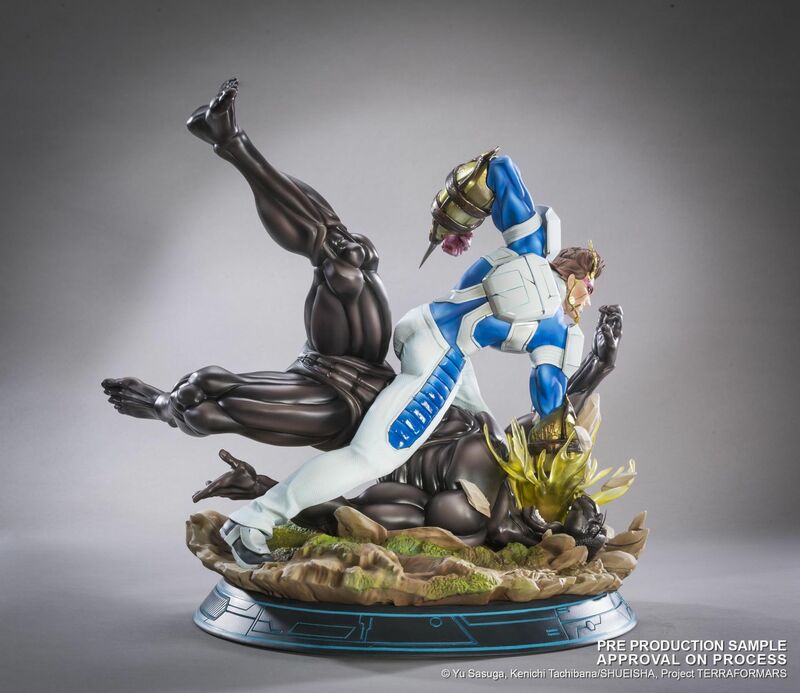 This first work with the science-fiction's world of Terra Formars is a promise to the fans of the show that this collection will be a unique tribute to this fantastic manga. The statue comes with a numbered plate and a certificate of autenticity. Scale 1/6. Total run of 600 pieces. Estimated release date : end of 2017.